Many properties along Bonner County’s numerous lakes, rivers and streams include areas located with special flood hazard areas (“floodplains”). Because of Bonner County’s flood prone areas, the County Commissioners in the 1980’s chose to participate in the federal National Flood Insurance Program (NFIP). The NFIP was created in 1968. The NFIP does not prohibit floodplain development, but rather guides development in floodplain areas to greatly lessen the economic loss caused by flood events. Special Flood Hazard Area (SFHA)– The one hundred-year flood, also called the base flood, is the flood that has a one percent chance of being equaled or exceeded in any given year. Floodplain management regulations must be enforced and mandatory purchase of flood insurance applies for these areas. Floodplain – A floodplain is any land susceptible to being inundated by water. Floodway – A floodway is a channel of a river or other watercourse and adjacent land that must be reserved in order to pass the 100-year flood without increasing the elevation more than a designated height. FIRM – The Flood Insurance Rate Map (FIRM) is designed to illustrate special flood hazard areas, e.g., the limits of the floodway, floodplain, and 100-year flood. FIS – The Flood Insurance Study (FIS) provides detailed information for a watercourse that has had a detailed study performed on it. Your local flood insurance study can provide base flood elevations. Track stream flows and rainfall amounts for your local community with continuously updated gauge readings by browsing the United States Geological Survey (USGS) . National weather warnings and forecasts for your local community are available on the National Oceanic and Atmospheric Administration (NOAA) National Weather Service. Most homeowner insurance policies do not cover damage caused by flooding. The NFIP was created to enable property owners in participating communities, including Bonner County, to purchase insurance protection against losses from flooding. This insurance is designed to provide an insurance alternative to disaster assistance to meet the escalating costs of repairing damage to buildings and their contents caused by floods. Participation in the NFIP is based on an agreement between local communities and the Federal Government that states if a community will adopt and enforce a floodplain management ordinance to reduce future flood risks to new construction in Special Flood Hazard Areas, the Federal Government will make flood insurance available within the community as a financial protection against flood losses. Properties that have been officially identified as being in a Special Flood Hazard Area and that have a federally backed mortgage are required to participate in the National Flood Insurance Program. The Community Rating System is a voluntary program for recognizing and encouraging community floodplain management activities that exceed the minimum standards set up for the National Flood Insurance Program. The program does this by adjusting flood insurance rates to reflect the reduced flood risks that are a result of community activities that reduce flood losses, facilitate accurate insurance ratings and promote awareness of flood insurance. 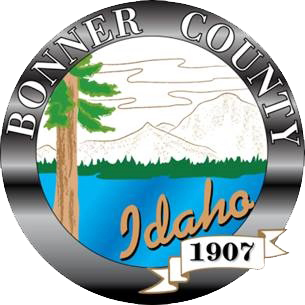 Bonner County participates in the CRS program which provides a reduction in flood insurance rates for citizens of Bonner County. The County’s class 8 CRS rating results in a 10 percent discount on flood insurance rates for residents and business owners. By participating in this program, we also provide better protection to people and property by enforcing higher development standards, providing public outreach and information, and other efforts. Know your flood hazard – Check with the Bonner County Planning and Zoning Department at 208-265-1458 to find out what flood zone you are in and what the Base Flood Elevation (BFE) is for your neighborhood. You can get a good idea of your flood zone from the interactive public map provided online through the Bonner County website. There are specific measures you can take to protect yourself from flood waters. Learn how to turn off the gas and electricity to your house and do so if flooding is imminent. Be sure to avoid walking or driving through flowing water or flooded areas. Drowning is the number one cause of flood related deaths followed by electrocution. Stay out of flood waters!! Additional information can be found on FEMAs web site at www.fema.gov . Buy Flood Insurance – The County participates in the National Flood Insurance Program (NFIP). In doing so, local insurance agents can sell a Flood Insurance policy, which is separate from regular property insurance, at subsidized rates set by the Federal Government. The Federal Government passed a law making it mandatory for owners to obtain a Flood Insurance policy if the structure is in a Special Flood Hazard Area (SFHA) and the loan is Federally backed. Flood Insurance can cover the structure alone or cover a combination of the structure and contents. Renters can buy coverage for contents, even if the owner does not have structural coverage. Property Protection – In order to protect your property, electrical panel boxes, heat pumps, washers and dryers and water heaters should be elevated or relocated to areas less likely to be subjected to flood waters. Anchor and elevate fuel tanks. If you have a basement, take preventive measures from flooding due to sewer backup or sump pump failure by having a check valve installed. Know what options there are to retrofit your house. Retrofitting means to alter the building to eliminate or reduce flood damage. There are several options to consider: elevation, flood barriers, dry flood-proofing, and wet flood-proofing. Natural and Beneficial Functions of Floodplains – Natural floodplains generally include marsh areas, such as those located along rivers and lakes throughout the county. Our natural floodplains reduce damage by allowing flood waters to spread out over large areas which helps facilitate absorption into the ground, reduces flow rates and serves as a flood storage area to reduce downstream peaks. Floodplain Development Permit Requirements – Build responsibly. There are certain things you need to know when considering building in a SFHA. Bonner County Flood Damage Prevention Ordinance requires that all construction, additions, conversions and/or development located in areas of special flood hazard comply with certain minimum standards intended to minimize damage from floods. For example, houses and certain other structures are required to be built one foot above the 100 year base flood elevation.